Marijane Meaker has published more than forty books since 1952. Writing under the pen-name Vin Packer, she wrote the lesbian pulp sensation Spring Fire. As the acclaimed young adult novelist M.E. Kerr, Meaker is the author of Deliver Us from Evie, Dinky Hocker Shoots Smack and many others. Meaker's work has been singled out for notable distinction by the New York Times, ALA, and School Library Journal. She lives in Long Island, NY. Marijane Meaker is a pioneer of lesbian literature. Her novel Spring Fire was one of the first paperback novels to deal with a lesbian theme. It flew of the shelves in 1952, selling 1.5 million copies (more than James Cain's The Postman Always Rings Twice, more than Daphne due Maurier's My Cousin Rachel). It's success rang in the era of the lesbian pulp novel, with legendary pulp authors like Ann Bannon following in her footsteps. In fact, Bannon has said, "I'm quite sure that, without Spring Fire and Vin Packer, there would never have been a Beebo Brinker chronicles, nor an author known as Ann Bannon." When Spring Fire appeared in 1952, it's cover blared: "A story once told in whispers, now frankly, honestly written." The same could be said for the lives of lesbian writers of the era, among them Meaker herself, who wrote Spring Fire under the pseudonym Vin Packer, and novelist Patricia Highsmith, her lover, who wrote lesbian fiction as Claire Morgan. 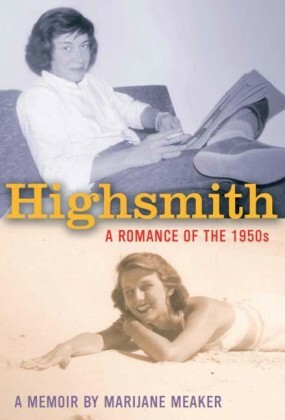 Meaker's memoir, Highsmith: A Romance of the 1950s, chronicles her two-year, tumultuous relationship with Highsmith. The memoir has been lauded by critics for providing an intimate portrait of the often enigmatic Highsmith, as well as offering a fascinating glimpse into the lesbian underground of 1950s New York City. As Meaker explains in the new introduction for the Cleis Press edition, Spring Fire was drawn from her own experiences as a young girl at boarding school. Set at a Midwestern university, the novel tells the story of two sorority sisters—wild Leda, queen of the Tri Epsilon house, and naïve, hesitant Mitch—who become roommates and stumble into an elicit love affair. Both a steamy page-turner and a vital part of lesbian history, Spring Fire is now available for the first time after being out of print for four decades. The author of more than forty books, Marijane Meaker has written under a number of pen names throughout her career, including not only Vin Packer, but Ann Aldrich, M.J. Meaker, and M.E. Kerr.